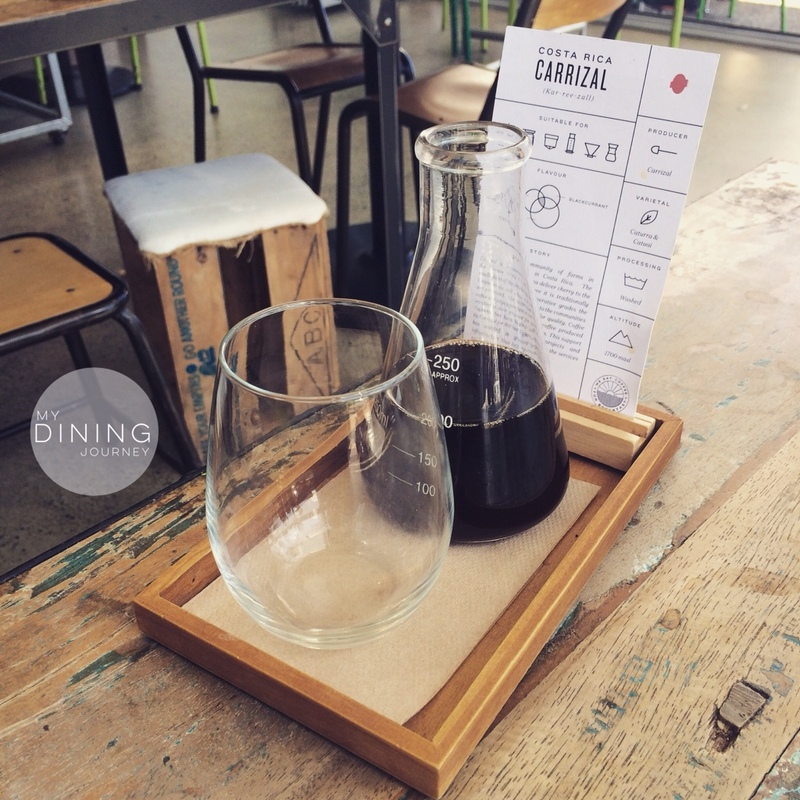 I consider myself a coffee enthusiast and love discovering cafes that offer more than just the traditional espresso coffee. A venture from David Huang and Kayoko Nakamura, both formerly at Espresso Workshop and in Albany since 2014, Black and Gold has been celebrated for its impressive alternative brew techniques including V60 drip and cold brew. It’s been on my radar, but it’s Rosedale location meant that it took me till now to visit. On a nice warm summers day, I opted for a glass of their cold brew made from Coffee Supreme Carrizal beans and I paired this with a delicious bacon eggs benedict on crumpets. The eggs were runny with just the right amount of hollandaise sauce. My dining companion enjoyed the bacon and egg bagel with cream cheese and salad. Surprisingly, despite being at peak time on the weekend, the cafe was relatively quiet. Service was attentive, food came quickly and parking was a breeze! A charming cafe for a relaxing brunch! 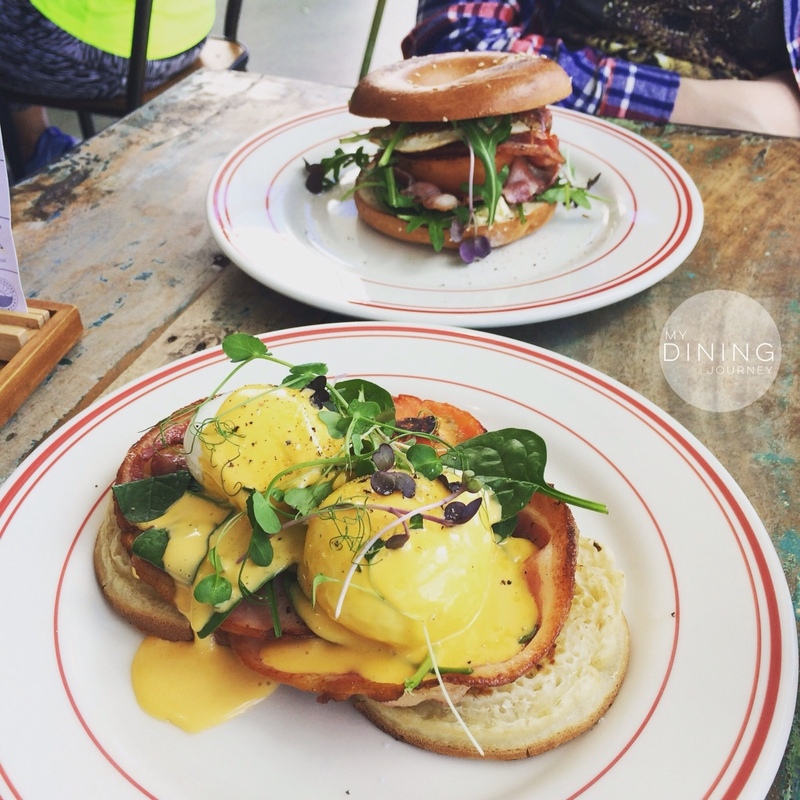 This entry was posted in Above Average, Auckland, Breakfast, Brunch, Cafe, Causal Dining, Coffee House and tagged Albany, Auckland, Auckland Eats, bacon and eggs, Black and Gold, breakfast, Brunch, cafe, Coffee, Eggs benedict, New Zealand, Rosedale, Zomato. Bookmark the permalink. Thank you for the ultra-positive review! Can I share it on our Facebook and Instagram?